Jessica and Sean. Fern wedding at General’s Residence Fort Mason, San Francisco. It was such a delight creating a beautiful wedding for these two lovely souls. Jessica and Sean chose Ford Mason General’s Residence to celebrate their beautiful day, and it was such an incredibly beautiful affair! Planning a relaxed yet semi-formal wedding day was high on the agenda for our bride and groom, with a focus on family, friends, and plenty of cute details, it was all about love and laugh and sharing the memories of their special day. Jessica and Sean were referred to me from my friend- coordinator Peter Golpeo, with whom I already made a few wedding together. From the very first overview of the draft wedding concept, I loved the idea of using plants, variety of ferns and the complex color palette (teal, magenta, fern and Ivory, blush, dusty blue accents) to add a little depth of color to the day! During the first consultation, we discussed all details and nuances of the wedding. Later I got informed that Jessica and Sean are big amateurs of the succulents and have numerous of them in their little urban garden. That why they wanted to feature plants at their wedding. I enjoyed creating the beautiful bouquets of peonies and ranunculus roses for Jessica’s bridal bouquet; the garden style informal bouquet style was the perfect accent for her beautiful bridal gown. The bridesmaid’s bouquets have more simple flower choice, but a numerous of fresh ferns. The boutonnieres for the Groom and groomsmen are made of fresh flowers and greens to match the bouquets. At the reception, Jessica and Sean wanted to create a simple floral concept incorporating modern style vases, and it was a great opportunity to introduce our beautiful geo style vessels for the plant centerpieces. A featured zone of the wedding was a decorated wall with gorgeous greenery with the initials J & S a/k/a photo zone, and it added a great touch of indoor to the perfect dining space. 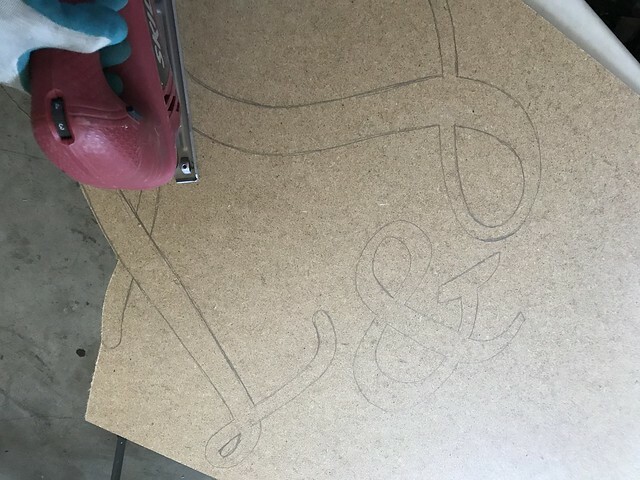 I had so much fun to cut the letters J and S from the thin plywood. Jessica sent me a font that she would like to see on the wall. And then at the venue, I added the fresh greens onto the wall to frame the gold sprayed letters. I loved the table numbers, significant floral blooms including gardenia and hydrangea, all favorite flowers of the bride and grooms mothers, so very sweet indeed. Summer weddings bring so much goodness with not only the flower choices, some of our much-loved greens featured in Jessica and Sean’s concept. And as always – the video clip to enjoy the every little moment of the Fern wedding. Congratulations Jessica and Sean on your beautiful Ford Mason General’s Residence wedding day! Christine and Matt’s bright and beautiful wedding. Piedmont Community Hall. Glam Chic Elegant Wedding. Faith and Garret. Ritz Carlton San Francisco. Dream Flowers is a floral design studio in San Leandro, California that serves East Bay Area and San Francisco. We specialize in events, weddings, celebrations and corporate events. Lana Chernyavsky is an owner and lead designer who transforms all floral ideas into life from little custom event to big floral installations. Lana has spent more than 10 years in floral industry working hard and developing her creative skills every year studying abroad.